Chung Dha website is more then 1 year old! Something I totally missed is that my website have been online for one year and still up and running. I never though that we would had kept out and have such a big amount of visitors when I started this up. I mainly use it to show my works and it seem to interest allot of people. The very first post of the day this website was made was on 12-7-07. Well was few weeks ago but still it is up for more than 1 year. And we had with in one year a total amount of visitors just over the 58.000 visitors. The highlights of the past year are a few that made some major peaks in the visitors counters on my this blog and still have people daily visiting those pages. 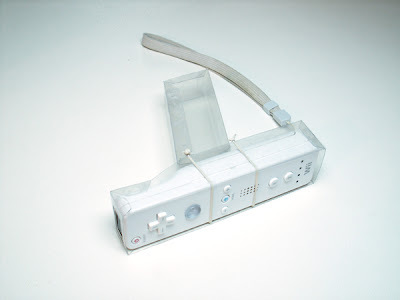 The top most visited page is...... DIY Wii zapper/gun! Probably because year just a real cool and simple thing and cost way less then to buy the expensive zapper. As some of you have seen I use Youtube to show some of my works and there I have one video that got more attention and visitors then to my website / blog, and that video is...... Animated Businesscard. The total visitors to this video is now at 66,322 and still rising. And the most fantastic thing that happend is that I have gotten allot of attention and also got allot of new friends and contact through this website. Lately been bit slow with adding new stuff, mostly cause I am busy designing things for other or major projects, but planned the coming time to have free weekends so I could design things for myself during the weekends then to design things 24/7 for other companies. PS.Today I have finally finished the Ironman pop-up card with colors so will be putting it together tomorrow and film how it looks like. I also have a special contest for people that are interested in design.